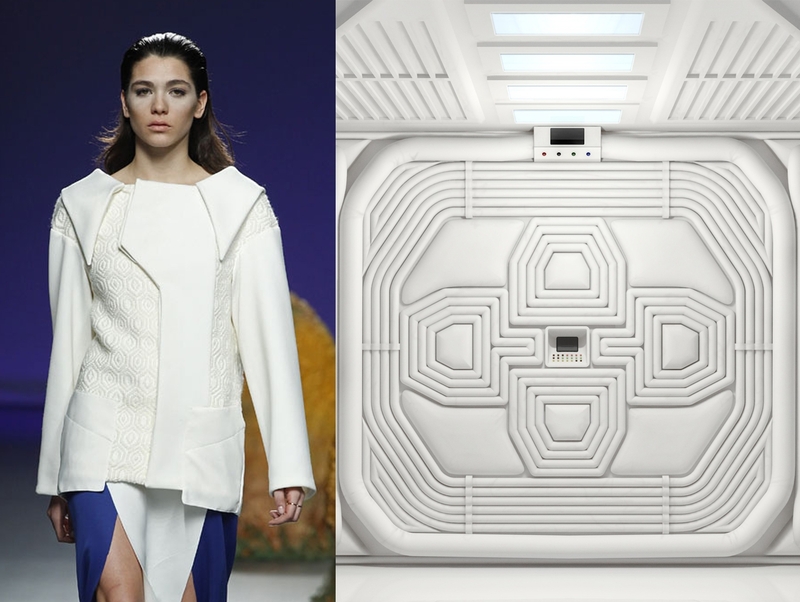 This collection was inspired by the Alien saga. 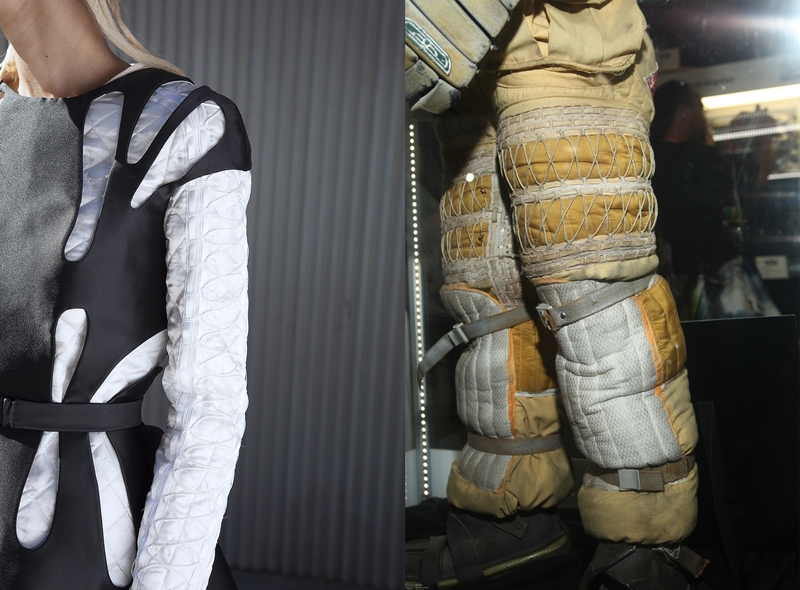 I extracted finishings for sleeves and elbows from the Moebius designed space suits from the first movie. 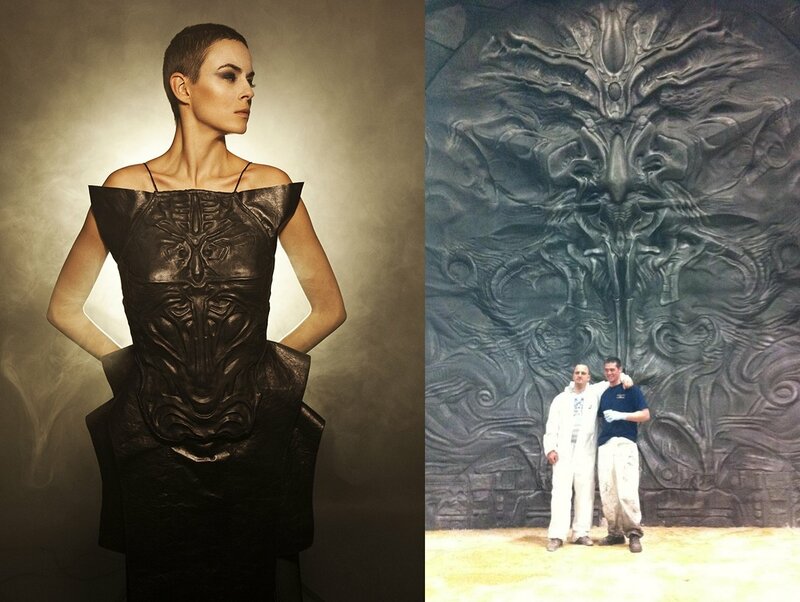 The walls of the Nostromo inspired a texture in a coat, as the wall in Prometheus inspired a very intrincated hand work in leather for the chest of a dress. 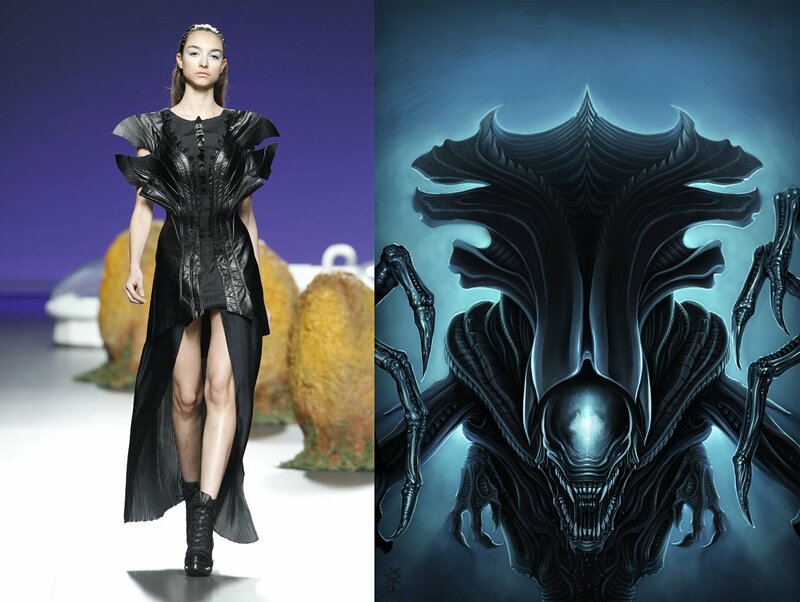 The Alien Queen head inspired a whole dress while the deacon inspired the sleeves of some garments. 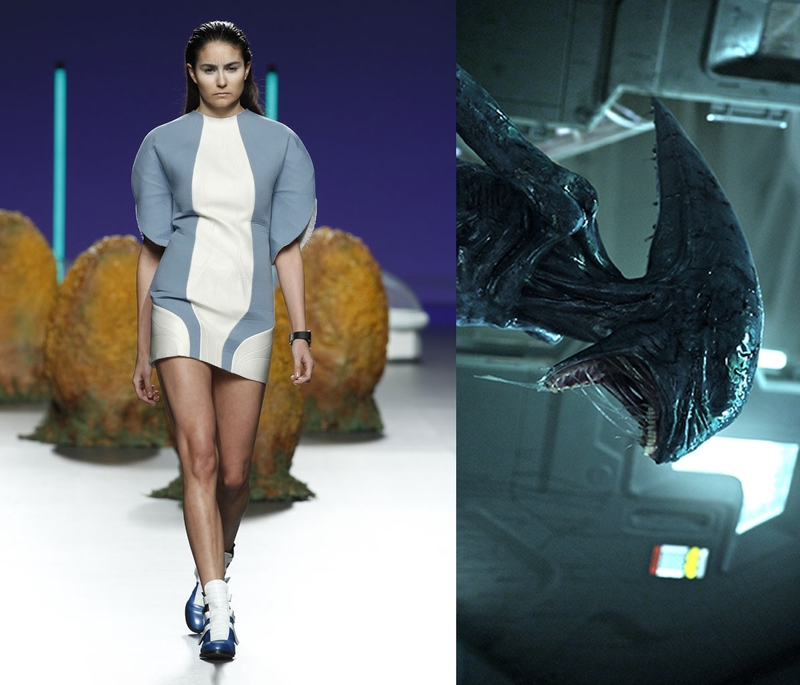 The shapes and holes of the dresses were inspired by the xenomorph. 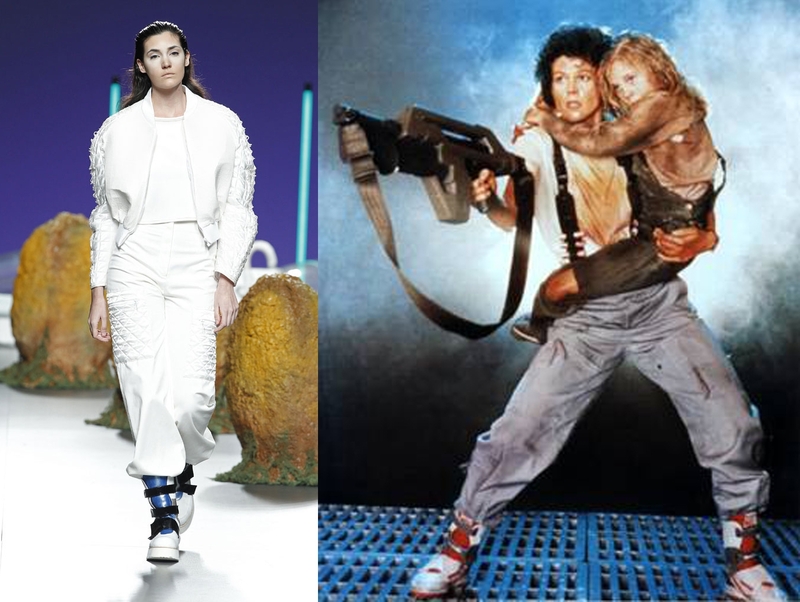 Ripley was a great inspiration and the show models wore the hair as she did in Alien Resurrection, while in the campaign one model wore it as in Alien 3. We created a pair of space boots inspired by those wore by Ripley in Aliens and we built alien eggs and a hipersleep unit for the show, out of trash.